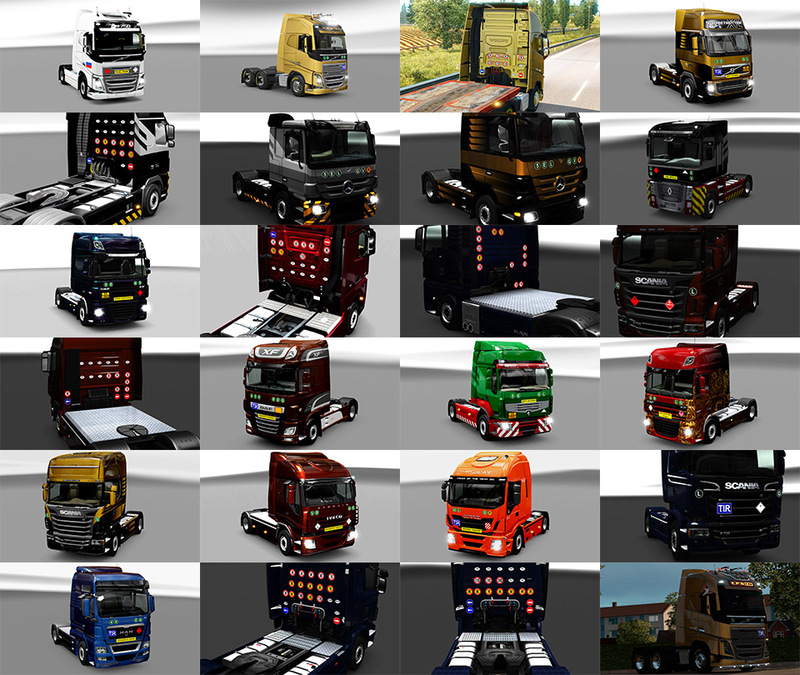 Signs on your Truck v1.1.00.08 by Tobrago (1.34.x) for Euro Truck Simulator 2 game. *Only for standard trucks in game. V / VI / R (yellow) / TIR / No TIR / T.I.R. / No T.I.R. etc. These signs are located at the front of the truck cabin. requirements - similar to those for Austria as above. producing noise levels no greater than 78dB.- heavy lorries exceeding 150KW with noise levels no greater than 80dB. Infectious Material / Toxic Gases / Toxic Material / Corrosive Material / 99-3257 Elevated Temperature Liquid N.O.S. etc. Speed limit signs: 30 / 40 / 50 / 60 / 70 / 80 / 90. Spain, Switzerland, Turkey, United Kingdom, Botswana, Kazakhstan, Moldova, Tajikistan, Uzbekistan etc. Ohaha, RJL, MDModder, Flemming V, davidzoli, AlexeyP, Pendragon, MrCapital etc!